Rodman has a rich history of wild game hunting. 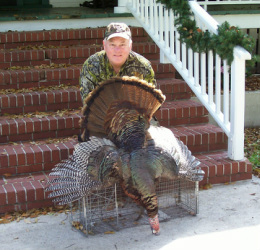 Our property includes Cow Heaven Bay, a deep woods swamp that is home to a large amount of deer, hog, various other wild game, and the elusive Osceola Turkey's that call North Florida home. We offer guided & unguided hunts of these wild game with accommodations if necessary. We also offer large fields for bird hunting as well. If you are interested in more information about hunting packages and the services we provide for this, email us or call, and we will be glad to develop a hunt suited for you.